“Get a real job – that was the parental advice I grew up with. In our house, the Arts stood for being constantly broke; so I got a proper education. From then on, I concentrated on it. It has been seven years since then and now my first novel is nearly finished. These were tough times; I had to sacrifice many things. I worked during the day and wrote in my spare time. While others were meeting friends, I sat in my little room. Because there's no such thing as the superwoman that Hera Lind describes. No one can manage this: a job, a family, domestic life, and on top of that write a book - just like that. The only thing that helps is discipline – and to believe in yourself. Now I’m going to find a publishing company that will publish my novel. The worst is behind me, I'm confident about that." 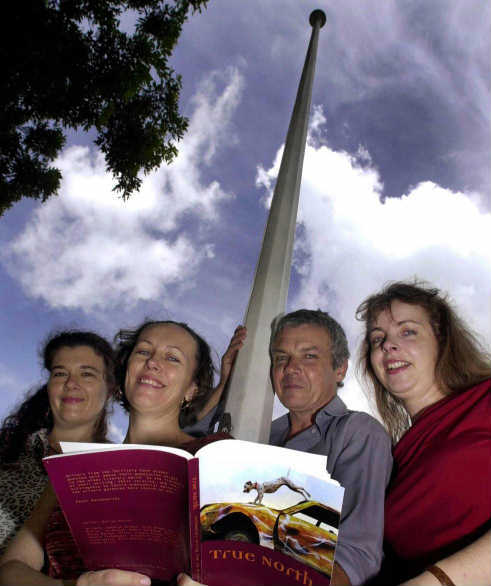 Writers from the Northern Territory have always punched well above their population weight in the wider literary world. In the freshness of their writing, their veracity, and their willingness to tackle substantial matters, the writers gathered here remind us why. Works by Kathryn Brewer, Nina Brown, Mary Anne Butler, Jo Dutton, Robin Hardiman, David Jagger, Karen Manton, Mitch, Angela Schoen, Leni Shilton, Sandra Thibodeaux, Edward Tilton, Michael Watts, Linda Wells, Alan Whykes, Jacquie Williams and Susan Wills. Order True North from Charles Darwin University Bookshop online ISBN 1876248912 or from the Northern Territory Writers' Centre. A book that gives voice to 17 Territory writers will be launched today. 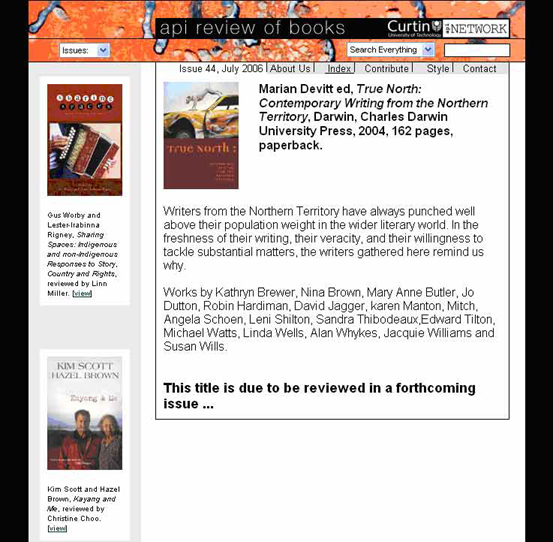 True North is a collection of fiction, poetry and non-fiction from authors in the NT. The launch is part of the NT Writers' Festival WordStorm. The event is at the NT Museum and Art Gallery lawns from 5.30pm to 6.30pm. It will include an introduction from acclaimed Australian author Peter Goldsworthy. True North includes Susan Will's non-fiction story Plastic Bags on the Fence, poetry by Michael Watts, Angela Schoen's The Third of Everything and Kathryn Brewer's Corpse Flower. A number of activities, workshops and events are on this weekend as part of WordStorm. Author Jacquie Williams will launch her book Cyclone Child at the Museum lawns at 2pm today. Williams has been a member of Darwin's writing community since 1996. Screenwriter for multi-award-winning film Lantana, Andrew Bovell, and TV writer, Ian David, will present a question and answer session at the Deckchair Cinema at 7.30pm today. Bovell will chat with David about Lantana and its development into a feature film. WordStorm wraps up tomorrow with forums, readings and workshops. A final concert at the Museum and Art Gallery will feature Shellie Morris and Neil Murray. Cane toads, tree frogs, crocs and Territory life all feature in a new collection of writing for NT kids. Territory Treasures, an anthology of stories and poems, includes work from new and established Territory authors. Contributor Gay Morris said the work was based on subjects Territory kids could identify, like crocodiles or wet season storms. 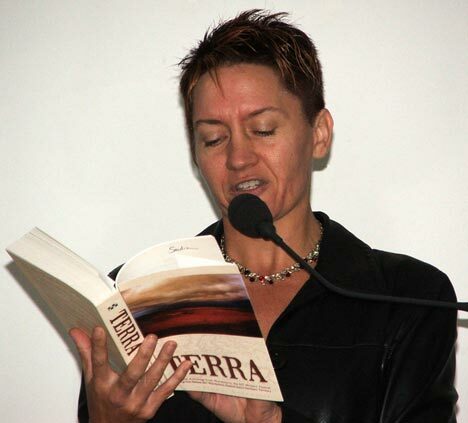 "It was an opportunity for NT authors to write with a Territory flavour,'' she said. The name of the book is taken from one of Mrs Morris's poems, four of which feature in the collection. The anthology includes pieces on moving to the Territory from a big city, dealing with the Territory's unique environment and haiku poems on NT wildlife. More than 120 people submitted work for the collection, with pieces from 29 writers making the final product. The work of Territory artists and illustrators also features in the book. Darwin teacher Susan Wills said her piece in the anthology, Night of the Macassans, was inspired by her experiences living on Groote Eylandt. 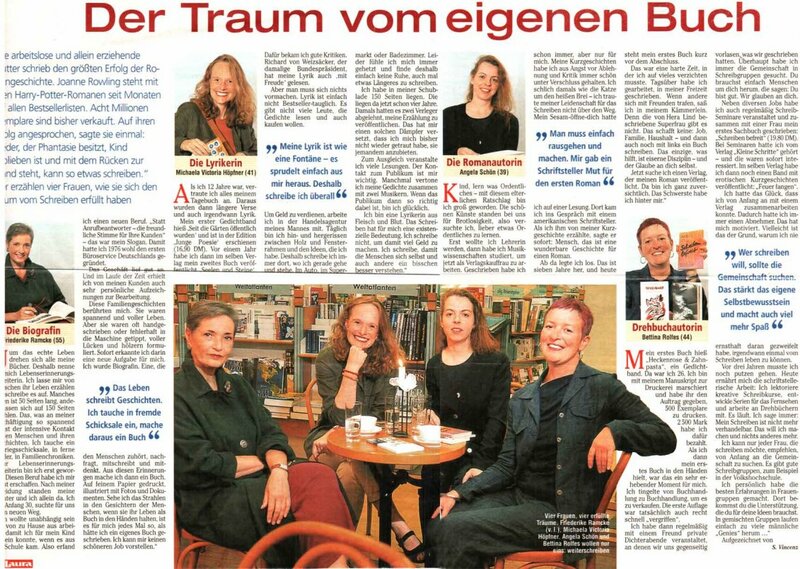 "I like the breadth of children the book covers,'' she said. Territory Treasures costs $20 and is available from the NT Writers’ Centre, Frog Hollows Centre for the Arts, in Darwin city. Earth is an exciting place - so is Terra, the first bilingual Indonesian - Australian anthology. Like the planet, Terra is a place of abundance, of talent and innovation, a place of different voices and different perspectives. Terra contains many of the best contemporary 'Austronesian' (writers between Thailand and Tasmania) that attended the WordStorm Festivals in Darwin. The project was a labour of love for editorial team Sandra Thibodeaux (English), Sitok Srengenge (Bahasa Indonesia), and Kadek Krishna Adidharma, who shaped the collection. According to Sandra Thibodeaux, the team carefully translated and selected every single text, going for the literary translation, where a literal translation was impossible or too stilted. Preserving meaning was paramount for the project. Different voices, yet interwoven by Terra, as Sitok Srengenge wrote "how every shard of others' lives interconnects by a magic thread to ours." The result is a symphony composed by 45 Indonesian, Singaporean, Timorese, Indigenous and non-Indigenous Australian authors. Terra is an intellectual gathering of passionate writers that talk about things that matter to our lives as human beings. They write about our freedom, our struggles, our hopes, our fears, our dreams. Terra contains the stories of friends and lovers, of refugees, of families, of priests. It talks about countries - Australia, Timor, Indonesia, and Terra tells the stories of landscapes and people, of times and traditions. Terra's innovation lies in its messages and timing. Its artistic concept is one of opening up and reaching out to others and their culture. The book contains some wonderful texts, displaying them in Indonesian and English side-by-side, evidence and symbol that there is more than one way of expressing meaning. Through this mirroring technique, Terra sends a strong signal of equality and respect - respect for others and their culture. At the sold-out launch at the 2007 Sydney Writers' Festival, the Utan Kayu International Literary Biennale in Jakarta, and the Ubud Writers & Readers Festival in Bali, audiences greeted this extraordinary book with enthusiasm. Indeed, Terra leaves you longing for more from the excellent writers that you just read. by phone +61 08 8941 2651, or fax +61 08 8941 2115. Abé (Bernabé) Barreto Soares, Alana Valentine, Alec Kruger, Ali Cobby Eckermann, Alvin Pang, Ayu Utami, Ben Ezra, Chris Mansell, Dorothea Rosa Herliany, Dorothy Porter, Frank Moorhouse, Gerard Waterford, Graham Nunn, Gregory Day, Helen Pavlin, Iswadi Pratama, Jacquie Williams, Jane Camens, Jared Thomas, Kaye Aldenhoven, Kieran Finnane, Leni Shilton, Leonie Norrington, Linda Christanty, Marian Devitt, Mark Bowling, Meg Mooney, Melchior dias Fernandes, Milena da Silva, Miles Merrill, MTC Cronin, Nick Earls, Nukila Amal, Peter Bakowski, Peter Docker, Pru Gell, Richard J. Frankland, Romaine Moreton, Sam Wagan Watson, Sean M Whelan, Sitok Srengenge, Terry Whitebeach, Triyanto Triwikromo, Ze'sopol Caminha, Zevonia Vieira. Book design: Andi Ewing. Cover image: Bronwyn Wright. If you want to be happy, go out for an evening with Australian's guitar quartet Saffire. Their style is bright, their performance sheer brilliance. Their sounds are transparent and full of colours - yes, there is such a thing in music. Saffire’s broad repertoire spans centuries and genres. The group is on national tour now with its newest album 'Renaissance', visiting both regional hubs and big cities.The concert began with dance pieces by Michael Praetorius and finished with a variation on a Deep Purple song. Listening to Saffire, you'll feel like whistling along as they play the popular 'Greensleeves' tune or the 'Cavatina' theme from the movie 'The Deer Hunter'. Renaissance dances change to Rock riffs, Tango follows Jazz. Saffire also plays the beautiful work 'Opals' (1997) by Australian composer Phillip Houghton. In 2003, Saffire won the ARIA awards and since then has become one of the most prestigious Australian guitar groups. The four Saffires are Karin Schaupp, Gareth Koch, Slava Grigoryan and Leonard Grigoryan – together a successful ensemble and jewels among contemporary guitarists! If you couldn’t make it to their concert in your town, Saffire's joyful music is available on CD through their website www.saffire.com.au and from ABC bookshops.